My eldest sis was a fan of this & somehow I got influenced after seeing all the interesting tools and beautiful bentos that was made. And especially with kids, the beautiful lunch boxes definitely help them to be less picky on their food. During Christmas in 2010, as my parents went to KL and we are left alone in their house with lots of ham left over from the eve’s dinner, I decided to try out some of the tools to make some fun breakfast. Dawn and Dear join in the fun and I must say that it’s a great way to bond a family! 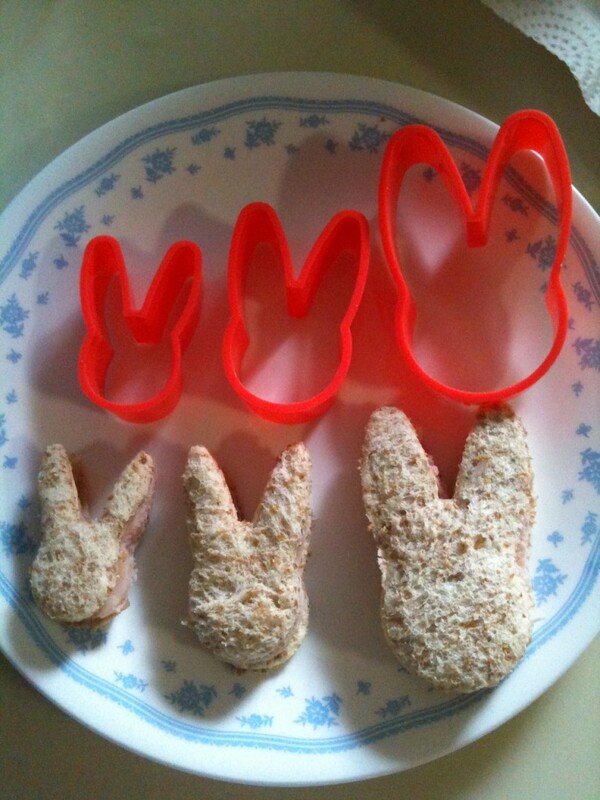 Here’s one of our creation, the bunny family! 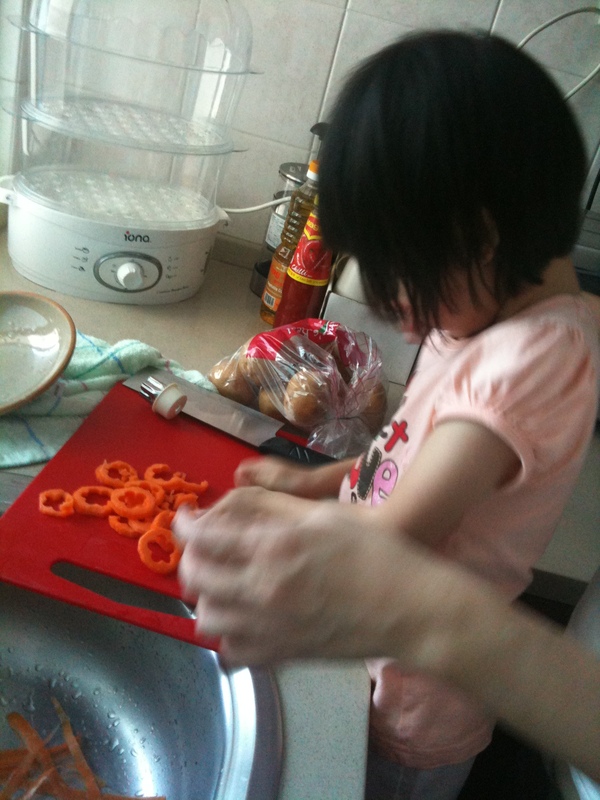 And you know who get’s to eat what according to the size…haha! 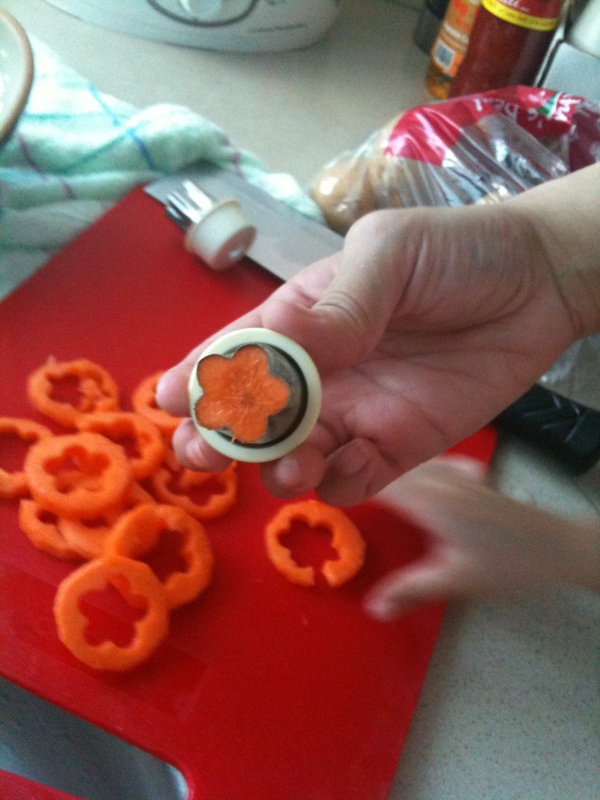 On another occasion, Dawn also tried out cutting carrot using a flower mold at my sis place. 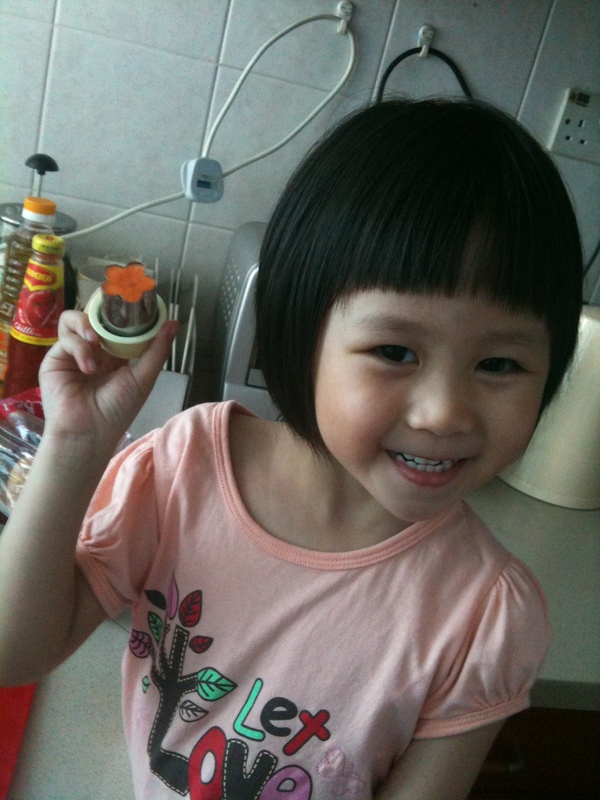 Look at her! 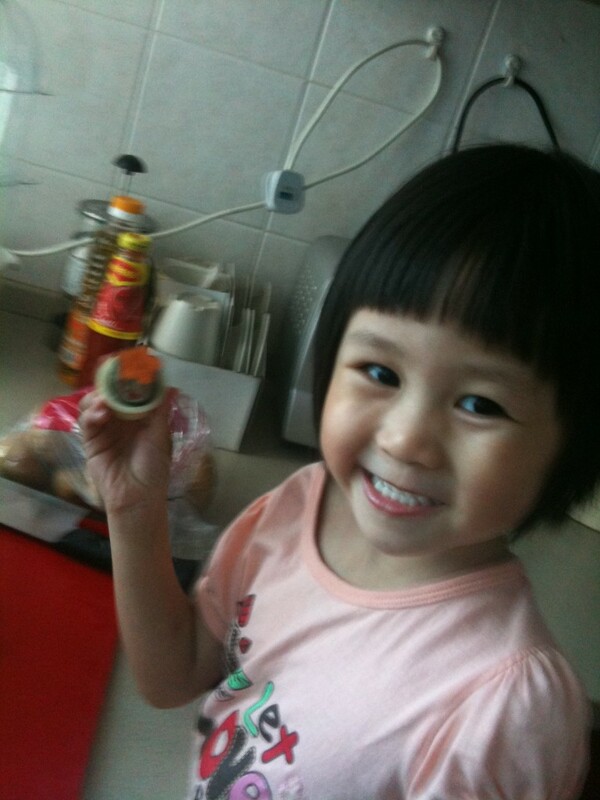 She’s like a very satisfied cook! 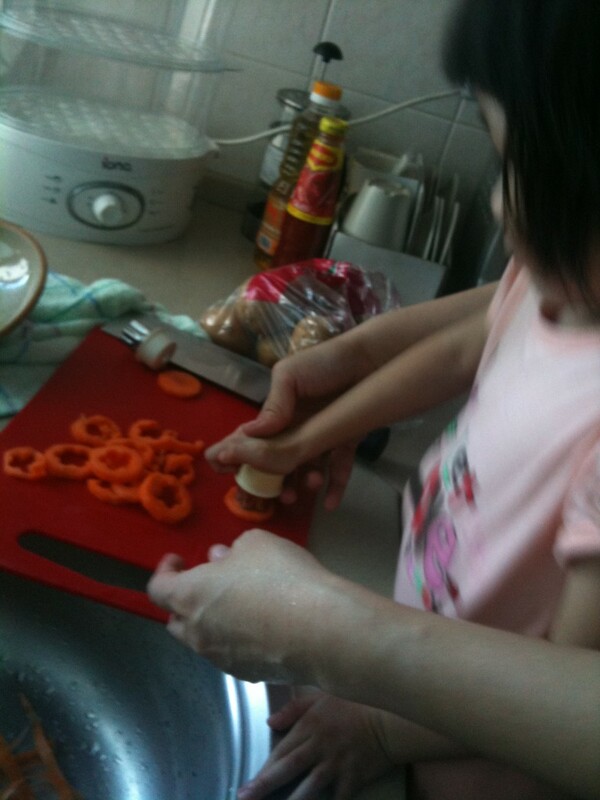 This entry was posted in BZ Kitchen, Bzmommyhood, Dawn, Food and tagged Dawn, Kids-Friendly Activities, Kitchen Fun Time.